In order to grow and scale your e-commerce business, digital tools are a must: marketing tools for helping you acquire more customers, analytics tools for understanding your audience and improving your strategy, competitor research tools for understanding your competitors and their strategies and many more. In this blog, I’m going to share five must-have e-commerce tools that will help you improve your businesses’ results. We won’t be talking about e-commerce platforms, but rather all the other tools that you need once your online store is up and running. Email marketing is essential to business growth as one of the most cost-effective digital marketing strategies out there. 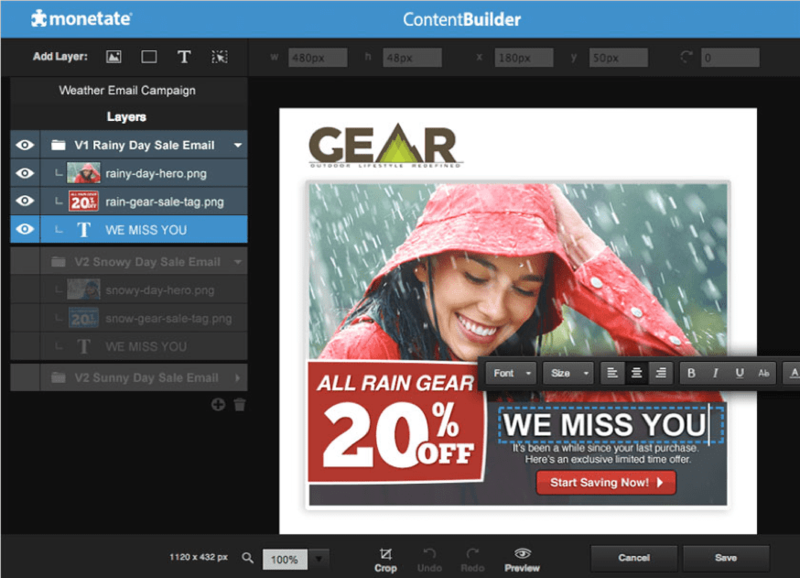 However, in order to create and run successful email marketing campaigns, you need a tool to help. One great option for e-commerce businesses is Mailchimp, as it offers numerous integrations with all the top e-commerce platforms (such as Shopify and WooCommerce). With Mailchimp, you get all of the main features you’d expect and need from an email marketing tool, such as the ability to create email marketing campaigns, as well as set up marketing automation. Beyond that, you also get several features that are perfect for e-commerce businesses: automated abandoned cart emails, personalized product recommendations to help you upsell and order notifications. On top of this, you can set up A/B and multivariate tests, segment and tag your subscribers, optimize your delivery times (such as by time zone) and create comparative reports. What’s more, it’s not just email marketing campaigns that you can set up with Mailchimp. You can also create Facebook and Instagram ads and target your audience specifically, as well as create Google remarketing ads to bring shoppers right back to your website. Personalization is becoming increasingly important in e-commerce, not just when it comes to email marketing, but in terms of the entire online customer experience. Shopping giants like Amazon have made e-commerce personalizationthe new normal in e-commerce; with personalized product recommendations and personalized content every time you visit their site, it feels almost impossible to stop yourself from buying something from them. So, how do you deliver this kind of personalized experiences? Quite simply, with a tool that can help you optimize and personalize your customers’ experiences. The Intelligent Personalisation Engine that helps you collect analyze all of your data in order to help you deliver omnichannel personalized experiences. Impressively, the tool can create these personalized experiences on any channel you use, from your website and app to your call centre and even your store. The Test & Segment tool to create complex A/B and multivariate tests, as well as to create powerful audience segments based on real-time behaviour, contextual observations and historical data from your CRM tool and POS. You can pretty much target anything you want: current weather, the device the shoppers use and the screen resolution, their online searching behaviour and much more. And finally, the Intelligent Recommendations tool for delivering personalized product recommendations across all of your channels (your website, your mobile app, in-store, etc.). How do you make sure that your target audience can actually find your products? And even more so, how do you make sure that you’ve got an edge over your competitors? SEMRush is a very powerful SEO tool that you can use not only to help you optimize your online store for search engines but also so that you can spy on your competitors’ online strategies in great detail. Organic research to find out what their best keywords are and to find new competitors that you should know about. 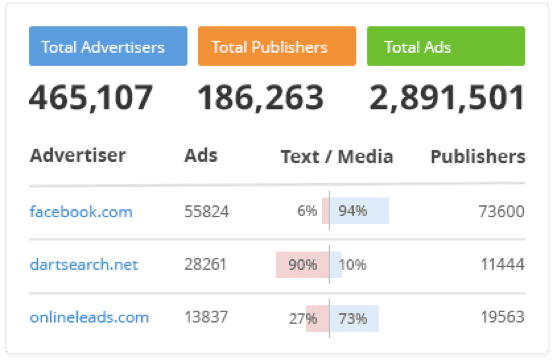 Backlink research to help you understand where your competitors are getting their mentions and backlinks and how it influences their domain authority. Advertising research to help you understand their ad strategies, their budgets and their keywords. Beyond that, you can also use SEMRush for your SEO needs, including auditing your website to check your website’s SEO “health” and easily make the necessary amendments and to use the on-page SEO checker to get recommendations on how you can improve your on-page SEO. Building a successful e-commerce business is about more than just having an amazing product, it’s about delivering a great shopping experience throughout, from the moment the shopper starts browsing the products on sale to actually purchasing them and even to the delivery of the product. In fact, logistics issues can literally make or break your business, especially if you have a global audience; with competitors like Amazon who can deliver almost anything seemingly immediately, the competition is fierce. 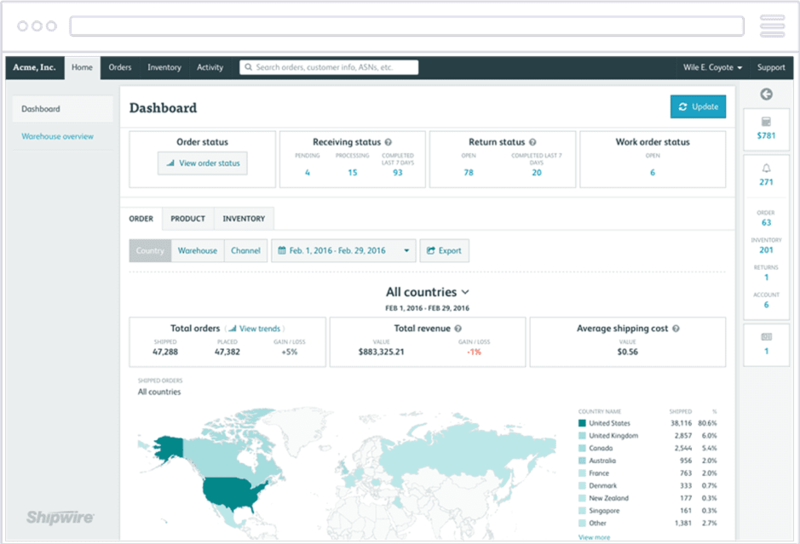 One great solution for building a powerful global logistics network is Shipwire, a cloud-based logistics platform that you can use to manage all of your logistics in one place. Use it to easily manage your transactions from one dashboard, as well as manage your work orders and order flow amongst different commerce systems. Plus, easily check your inventory, sales orders, delivery statuses, returns and pretty much anything that has to do with product delivery and logistics. Although there are many features worth exploring, I just want to add that you can also use Shipwire to deliver your products all over the world, through your warehouses and theirs. 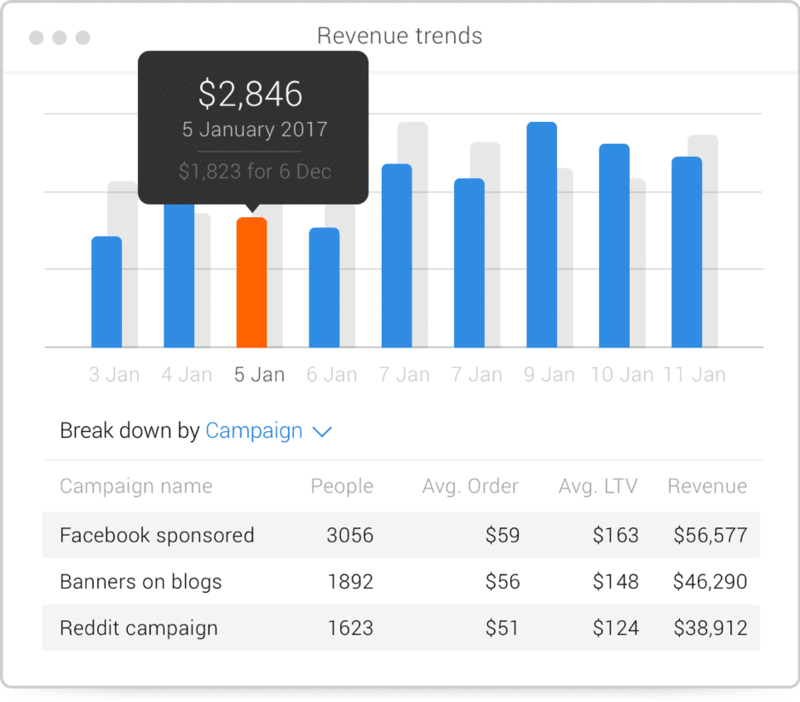 Analytics are extremely important for any type of business; they tell you how your marketing efforts are paying off, what your revenue is like, how your KPIs (key performance indicators) are performing and so much valuable information about your audience and buyers that can ultimately help you sell better. There’s no denying that Google Analytics offers plenty of great analytics features for e-commerce businesses, but if you want a tool that is specifically built with e-commerce in mind, you can try Metrilo. These, of course, are just some of the metrics that you can expect; plus, beyond the analytics, you also get a few other tools: an email marketing tool, an e-commerce CRM tool and a customer retention platform. While there is a bit of an overlap with some of the tools, each tool in this list was picked to help you solve a different e-commerce need, whether it’s marketing, personalization, SEO, analytics or logistics. As an e-commerce business, you definitely need quite a few different tools, it’s true; take the time to properly research each tool along with the integrations it offers so that you can make the most out of your investments and connect your different tools and software to maximize your results.